If you could sum up The White Mage Omnibus: Books 1-3 in three words, what would they be? Loved the series. Can't wait to find out what happened to Tess. Is she dead? What other book might you compare The White Mage Omnibus: Books 1-3 to, and why? So similar to the Harry Potter series!! Lots of magic, school kids action. Also, Tempest is so like Quidditch. Derek is a great narrator. He made you feel like you were actually there, experiencing it. Not possible. Its too long. this book has me hooked all the way from the beginning right through to the end. i haven't read any Harry Potter to have comparison. I found though a few similarities with concepts and names in reference were uncanny. In that comparison with the movie themes and concepts. Other points was pacing elements in the story was inconsistent. 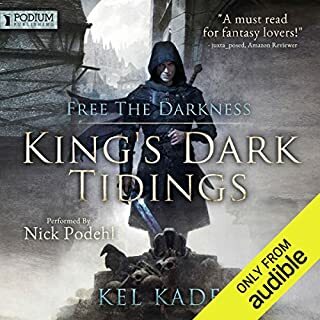 Somewhat jarring to listen to when a chapter tries to subvert your expectations with a twist, but you can see it a mile away. The villians are also inconsistent, driving points and motivations are not very self aware or established. If anything very cartoonish in portrail. It's like the Harry Potter tales on Adrenaline! 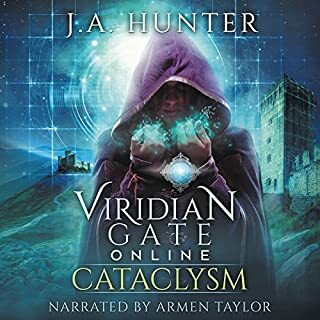 Would highly recommend it to anyone who enjoys a good epic fantasy, sci fi, magical tale. 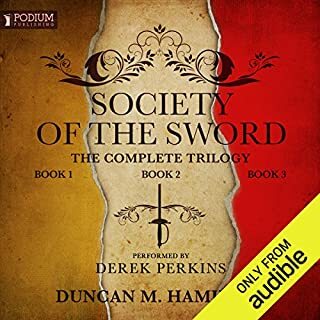 Derek Perkins is a great narrator throughout this trilogy. His deep baritone voice of conviction reminds me a little of Rupert Degas. However, alters to a very decent range to fulfill the more feminine, elderly or magical characters. The story does remind me a bit of Harry Potter but the main character centres around a teenage girl instead. There are other similarities too but the differences are more prevalent & pronounced as the tale unfolds. A grand effort which will whisk you away on an epic adventure of good vs evil, light vs the dark. This was just awful. Utterly uninteresting and unoriginal. I really wanted to like it, but it is hard to find anything good to say about it. The performance by Derek Perkins is fine, but inappropriate for the setting. I bought this to listen to on a long drive and was just shocked at how bad it was. I honestly would not recommend this anyone. It is a great story. 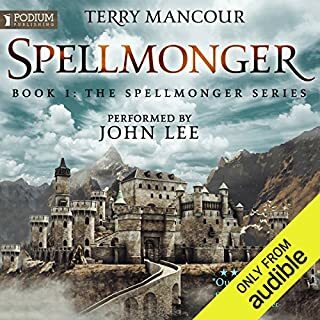 Entertaining and emotional- it reminds you of other young adult fantasy works while still remaining highly unique and interesting. What other book might you compare The White Mage Omnibus: Books 1-3 to and why? In certain aspects it reminded me of the cycle of arawn and the harry potter series. Many themes cross over from HP but the story's uniqueness in terms of fantasy elements is very close to the cycle's own elements. Variance in voices and tone was well conveyed for the most part. Derek handled accents of different characters well without allowing them to overshadow what was being said. Female voices were done convincingly and naturally. There were many but in the interest of not providing any spoilers I'll leave it at Tess and Iris's friendship. The fact that the two are so incredibly different and eventually come to love each other as sisters was absolutely lovely. 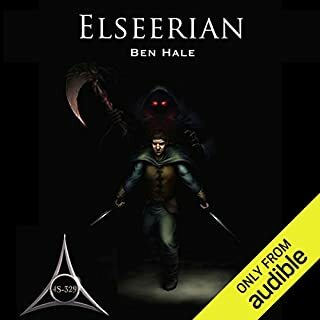 I sincerely hope the rest of this series is released on audible. Originally I was skeptical about the series as I thought the story would be juvenile due to the age of the main characters but it is anything but. All of the main characters are written as amazingly human and even those who fill a bit of an archetype are still unique in their own ways. 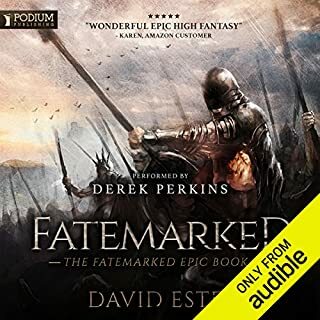 If the great story itself isn't reason enough to release the rest of the series I think Derek Perkins' performance puts it over the top as an amazing audible experience. I wish they would label things as young adult. TECHNICAL: Invisible as it should be. PERFORMANCE: It was OK. I didn’t really find the characterizations as particularly listenable. (Maybe it was partially the fault of the dialog.) Still; consistent, clear diction helped the performance. STORY/AUTHORCRAFT: It was OK. It had a young adult twang to it. (JK Rollins books managed to not have that kind of feel.) The dialog was somewhat stilted. Story line was a bit slow. I have no desire to go any further into the series. But I didn’t hate it. excellent story extremely told kept my attention, hard to put down. can't wait for the rest of the story. excellent character development full of many surprises lots of anticipation waiting to see how things were going to work out. the only possible cause is it ended on a cliffhanger and I want to read more. 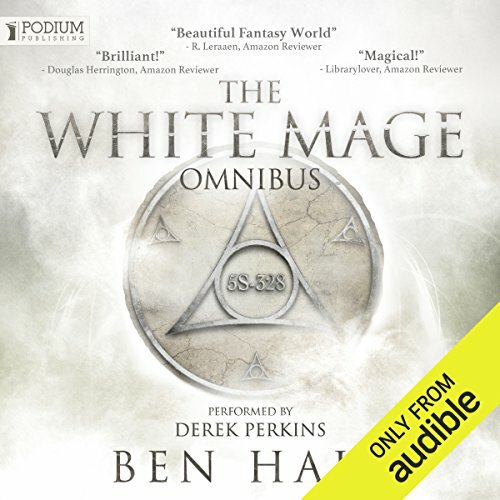 Would you listen to The White Mage Omnibus: Books 1-3 again? Why? Yes. There are idiosyncrasies and details that are missed if not forgotten due to the length and nature of the story. It would be good to fill in the gaps. He is an amazing narrator. I find his delivery of the content and delivery of voice characterization stimulates the imagination in such an engaging fashion. Though I will admit that there are similarities to Harry Potter, it has a right to stand on its own. 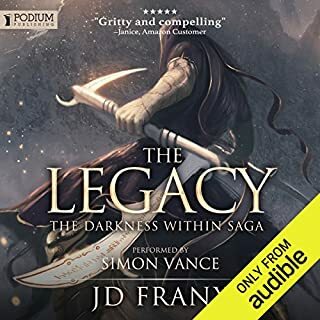 My only concern is that the precursor books "The Chronicles of Lumineia" was written in a different style and I found myself yearning for the consistency in writing. Granted that the White Mage is 10k years in Lumineia's future, the transition could have been more elegant. 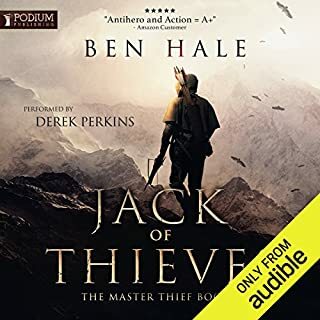 My biggest complaint is the rest of the series is not yet on Audible. 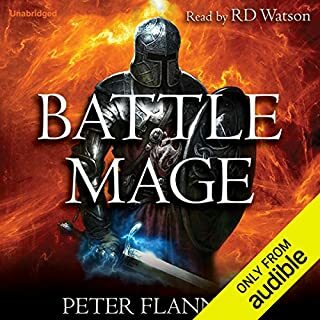 Great listen imaginative story enjoyed it immensely. would highly recommend it. This book was a great deal of fun to listen to. I enjoyed it thoroughly. 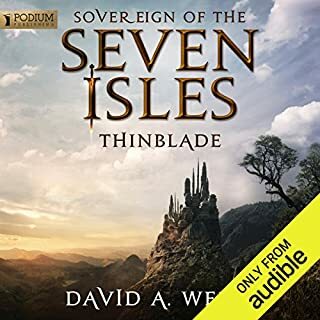 I agree with past reviewers, however, that it's a shame the rest of the series isn't available on Audible yet! It's quite the cliffhanger at the end of book 3! 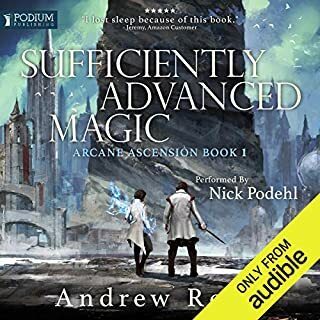 What made the experience of listening to The White Mage Omnibus: Books 1-3 the most enjoyable? What was one of the most memorable moments of The White Mage Omnibus: Books 1-3? I loved the book. it was captivating, great story, and no deus ex moments where the hero can always pull through because there is plot armor. 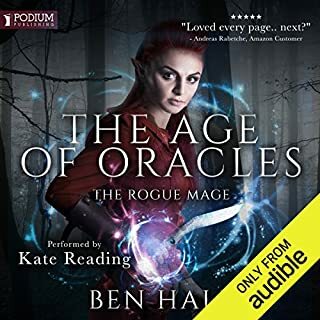 the minus one star is because it finished at book three and it took me a few moments to find out their is 2 more books in the series that are not audiobooks. other than that great story. even better books. I almost didn't get this book because of a review saying it was just like Harry Potter. I disagree with this. Yes, there are definitely similarities, especially in the first book. But Harry Potter doesn't have involved, loving parents. It doesn't have military involvement. It doesn't have what amounts to zombies. Harry Potter, but only superficially. Awesomeness. Good distinction of characters. A deeper definition of personalities that I don't add using my internal voice. Not really. I did enjoy it more than I thought I would. And it's the first time I got an omnibus recording where I'm actually going to get more books that come after the last that's included. I don't think I'd recommend this book to a friend. It's just too much of a Harry Potter ripoff. I know it's hard to be original in this genre but this is ridiculous. The story is enjoyable but I'd suggest it for a preteen to early teen age range; it's pretty juvenile. The magic system isn't anything complex. It is just a system that seems to be able to do anything without conforming to a set logic.Without limitations to abilities, it's too easy say "well why didn't they just do XYZ instead?" 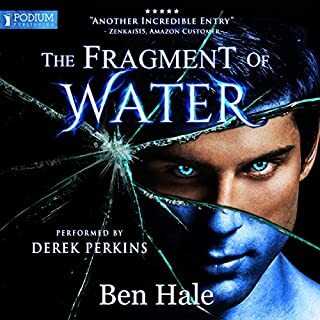 I'm always happy listening to Derek's narrations. He does such a great job. The only reason I feel this story was worth a credit was because of the length. It was an easy listen while commuting to/from work.I'm sure there are several others that will enjoy this story. I was just really disappointed with how unoriginal almost every aspect of the story and world building was. What did you like most about The White Mage Omnibus: Books 1-3? The story is well written with interesting characters, that draw you in. There are hints of Harry Potter in the plot, but please don't be put off by that if you're not a fan of those stories, as the writer and his characters are very different. Everything, it's not going to be a classic read by millions, and turned into a huge franchise, but it is fun and keeps you interested. Some parts are a little predictable but this just makes the unsuspected twists that bit better in my opinion. 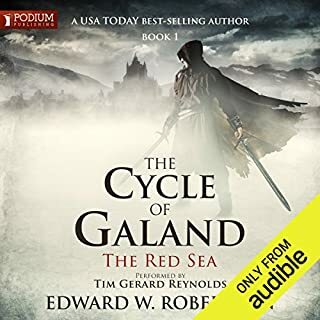 The narration was excellent, read at the perfect speed and with a pleasant tone. 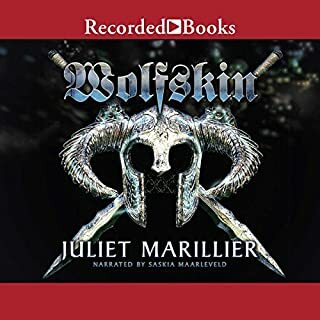 There are at least two more books in this series, but these are not on audible and may not have actually been turned into audiobooks as yet, and as I don't get many opportunities to sit and read (I listen when on the move) this has left me very frustrated. Update. Very happy now, The next two books are available. Lord of the Rings v Chronicles of Thomas Covenant. Every single sci-fi space opera but I love them. I have to say I'm so p....d off with the slagging off that make up bad reviews there are either 5 star or 1 star completely polarised opinions. The Darkness, it is a very good evil weapon. The characters are all overly powerful morons up to until the last second when they finally understand everything and save the day. I have to admit that whilst I really liked this book, the way its written, and the characters. I kept coming back to the fact that it's a variation of the Harry Potter idea. I mean young girl finds out that she can cast magic and gets sent to a school that teaches magic... Any of that sound familiar. Harry Potter but with a girl as the lead character sums it up. not bad but not great. ...I will be blunt, that is all there is to this book. The author took a list of events and devices from Harry Potter and attempted to make them more cool and magical, destroying all the charm in the process. Huge segments of the book which could have been used to learn about Tess and develop her character (if she can be said to have one to develop in the first place) were instead given over to brutal battles. 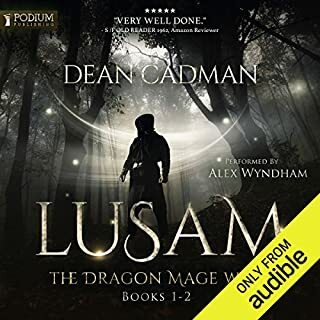 if you're looking for one of those books where supremely powerful wizard heros (with all the charisma of a dish cloth) destroys cartoonishly evil baddies in their scores then this is for you, but even then you could probably do better. The story is very predictable if you have read Harry Potter. The development of characters, is not good, but as book 3 is not the end of the story, that may come later. 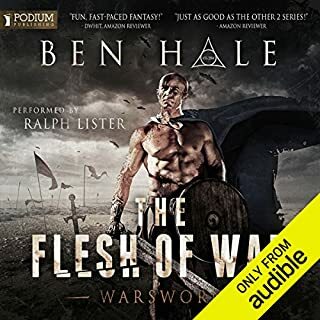 I had assumed that the story was complete in this omnibus edition, as Audible did not say it was part of a series. But other books must follow if the story is to finish. 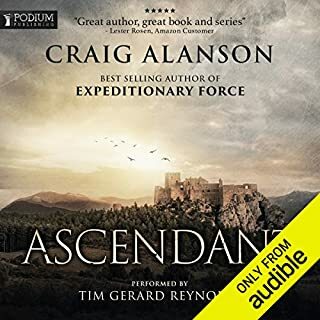 I normally like to wait until a series of books is finished before I start reading it, so a few minus points to Audible for not pointing out this is the first part of a serirs. The book is not boring, its not exciting but its also not boring. Its the sort of thing you can have playing in the background and paying scant attention to. There is a lot of bang for your buck in terms of number of hours for 1 credit. The problem is that I paid attention to this omnibus. This book is a straight up rip off and while in music we have cover songs, the covers usually bring something exciting, new and inventive to the original song (they also pay royalties). This book doesn't do that. The plot is poor and the story is very predictable. When a book is inventive, engaging, and exciting, you forgive the occasional plot hole because you start to get absorbed by it. But when it is a luke-warm highly derived story it gets quite irritating. This book is also full of plot holes. Hindsight writing. One thing that occurs many times during this story is hindsight writing or rather very poor character/situational resolution. I won't give examples since it may spoil things for some people but the guy writes characters and then stuffs in random reasons why they do what they do that is at odds with their nature as you understood. It's not really a surprise (I have seen that plot line before), but there is no good reason why those things happen - you get the worst of both worlds. Its like watching a really poor magician at work, where he clumsily stuffs the card up his sleeve and then asks you were it is and then randomly throws a paper aeroplane. Me too. This whole book is one long "me too story". It looks as if the author simply started writing stuff and would see something interesting on tv or read an actual good book and then shoe-horn that plot in the most jarring and finesse-lacking manner. Yeah, now, I'll throw in some bravo-2-zero type stuff blah blah... Some authors are capable of simply sitting down and writing a story that is exciting, fully fledged and original without planning or plots etc. This author doesn't seem to be one of them. Books should be like a magic trick, or like hypnosis. It takes a lot of skill to hypnotise the audience into investing themselves in a story. It takes finesse to do this properly. These books do not demonstrate this. It seems as if the author has just slapped any random thing that came into their head, or what happened to be popular at the time. The funny thing is that if there is enough technical effort in the concept, character development, and plotting readers/listeners would forgive a multitude of sins. They want believe! Oh yeah, lastly it is a total Harry Potter and Avatar ripoff! Mostly H.P. right down to Dumbledore's Army. Have you no shame sir? Have you no shame!? J.K. should send the lawyers round. Highly derived stories show a lack of effort in their conception. Is it any wonder that there is also a lack of effort in everything else resulting in a poor story experience? 1. Every kind of exclamation sounds like an evil witch, and it doesn't matter which character gets agitated or excited, they sound like an evil witch. 2. For a story largely based in the US, there are scant number of American accents. I'm not sure the narrator is to blame since the book mostly feels like it is written in an english rather than american style. Who knows!